Book lovers visiting the state will enjoy NY libraries. You will find a wide range of literature, non-fiction, reference books and more at libraries in New York. 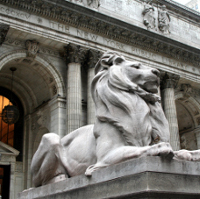 Find books for the discerning reader in this comprehensive list of NY public libraries. Easily the most famous of the New York Public Library branches, this beaux-arts landmark building has been standing on 5th avenue since 1911. Home to an amazing array of archives and research materials including over 400,000 maps, periodicals in 22 languages and one of the greatest collections of Judaica in the world, this is one of the greatest libraries in New York. 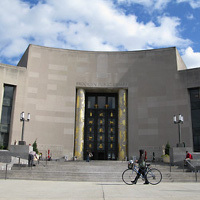 The library has many impressive collections where visitors can see manuscripts of novels by famous authors such as Walt Whitman and Virginia Woolf, the first Gutenberg Bible in America and one of only 48 surviving copies, copies of the first folio edition of Shakespeare's Comedies, Histories and Tragedies from 1623 and much more. There are also many circulating collections on a vast array of topics including a large children's collection. Visitors to the library can check out books, research non-circulating materials and use computers in the main reading room. 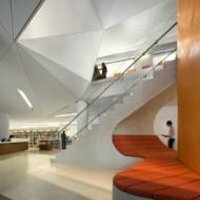 If you are looking for a helpful library in NY, be sure to check out this great library in Flushing. At this library a Queens library card gives you the ability to borrow books of all types and genres, CDs, DVDs and a huge array of eBooks and eAudiobooks. Books and materials are available in several languages including Spanish, Korean and Chinese. 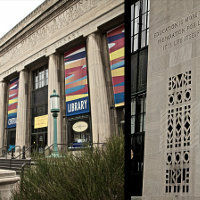 Events take place regularly at this NY public library including educational classes and storytime for small children. Kids and teens can get homework help, do school research on the internet, participate in clubs and more while adults can join in book discussions, learn how to use computer programs or attend free concerts. Hundreds of Thousands of Books and Free Wireless! This massive library has a collection of over one-million books, magazines, and multimedia materials. For over 70 years this impressive building has been host to visitors seeking a quiet place to read, research, use computers and study. 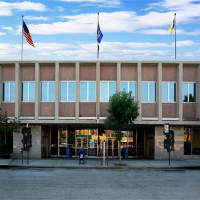 Central Libary is home to the Brooklyn Collection which is an extensive collection of photographs, maps, manuscripts and other items relating to local Brooklyn history. At this New York library events and helpful educational classes take place regularly including English conversation classes, homework help, storytime for children and much more. Manhattan's first green library, the Battery Park City Library is a great place to come for a quiet afternoon. Clean open spaces create an atmosphere of airy quiet which is perfect for reading or studying. The community space upstairs is used for events, exhibits, and shows. This New York public library features a large collection of over 30,000 books and periodicals, separated reading areas for children, teens and adults and public computers where visitors to the library can access the internet. Events take place regularly including children's storytime, educational workshops and teen clubs. Established in 1903, this small library on Staten Island has been operating in its current location for over 110 years. 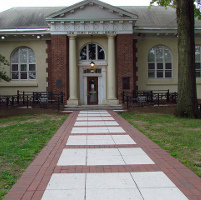 In addition to their significant collection of materials detailing the history of Staten Island, Tottenville Library also has a large collection of children's books and media, periodicals, reference books, and fiction and non-fiction books - including a Spanish language and Russian language section. Regular events take place including adult book clubs, children's story time and homework help for kids. Computers and printers are available for public use. This library is open Monday through Saturday. Boasting the largest collections in the Bronx, this huge library was the first certified green library in the New York Public Library system. Sleek and modern, this building is home to four floors of books of all types - reference books, fiction, non-fiction, children's books, young adult books, educational books and much more. Check out the extensive collection of Latino and Puerto Rican cultural resources on the fourth floor. 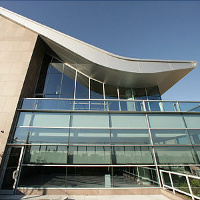 The fifth floor is dedicated solely to career and educational advancement, while the concourse level has a technology training center with free computer classes, a literacy improvement center, and a large 150 seat auditorium for events and presentations. 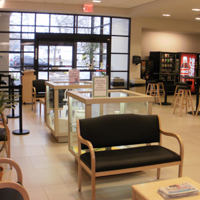 The library is open 7 days a week and is fully wheelchair accessible. With a collection that contains over one-million books, reference materials, DVDs and periodicals, this library is truly a wondrous place to visit for book lovers and knowledge seekers alike. 10 separate departments within the library ensure that it is easy to find whatever you are looking for. Visit to use the internet at one of their 85 computer workstations, or bring your own laptop or tablet and use the free wireless. Computer labs throughout the week offer help to anyone needing assistance with job applications, resumes, and online forms. Regular events such as movie showings, storytime and free seminars take place often. This New York library is open 7 days a week. This small library in Central Islip has a collection of over 150,000 volumes in addition to their collection of periodicals and reference materials. The clean open feel of this library makes it a great place to come study or read quietly. Be sure to check out the library's snack area which has coffee and vending machines so you can refuel while studying or doing research. Regular events and outreaches sponsored by the library take place including holiday celebrations, music performances and much more. The library is open seven days a week except for summer when it is closed on Sundays.